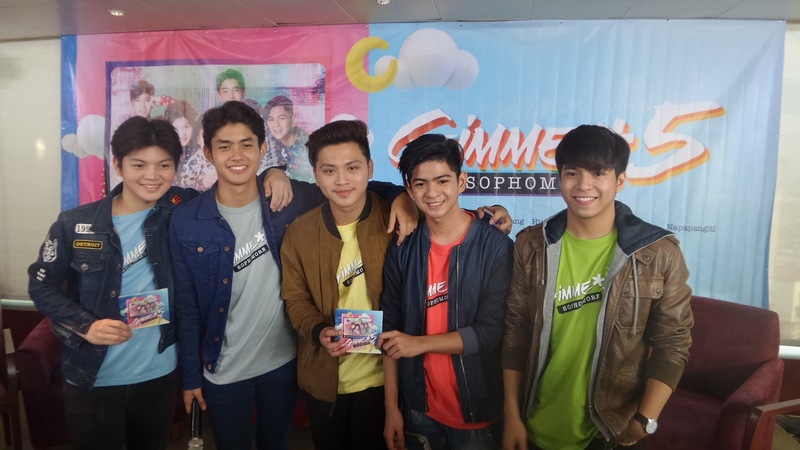 Fans of the five heartthrobs will surely be revved up as the new album features five original songs including compositions from Gimme5 members such as “First Love” by Nash and “Hindi Ko Alam” by Joaquin. 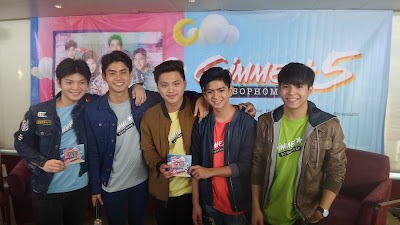 The album’s carrier single, “Walang Dahilan,” is composed by Jay Sule and this feel-good song highlights the boyband’s teen vibe as it talks about the first stages of having a crush. Other exciting tracks, “Napapangiti” composed by Rox Santos and “Hanggang Tingin Na Lang” composed by Miles Blue Sy, are also set to swoon and inspire the youth in upping their “ligaw” game. Malou Santos and Roxy Liquigan are the executive producers of this album, Jonathan Manalo as the supervising producer, and DJ and songwriter RB Kidwolf serves as the over-all album producer. “Sophomore” follows the success of Gimme5’s first self-titled album which gained waves in the local music industry with hit songs “Pag Kasama Ka,” “Hatid Sundo,” and “Aking Prinsesa.” The album also received a gold award from the Philippine Association of the Record Industry (PARI). The album is now available on all digital stores worldwide and record bars nationwide for only P199. For more information, visit Starmusic.ph or follow Star Music’s official social media accounts at Facebook.com/starmusicph, Twitter.com/starrecordsph and Instagram.com/starmusicph. Watch the latest music videos at Star Music’s YouTube channel @ABS-CBN Star Music.